We offer soft-tissue surgery including spays and neuters, as well as more complicated surgical procedures. All surgeries are performed in a sterile environment under general anesthesia with close patient monitoring. We utilize the most effective pain control methods for the comfort of our patients and for quicker healing. Most of our surgeries allow for same day discharge to allow our patients to recover in the comfort of their own home. We treat a wide range of illnesses and conditions and provide intensive hospitalization if necessary. We also have available a regular X-ray machine in addition to our dental X-ray machine. We provide chemotherapy if indicated and work closely with the oncologists at Auburn University for the best treatment protocols. 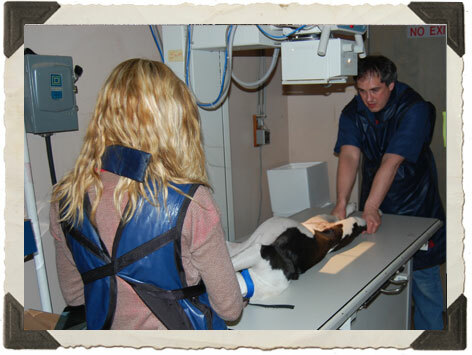 Occasionally for extremely serious or complicated cases we will opt to refer a patient to a Veterinary Specialist in Nashville or Louisville for more specific and advanced care. 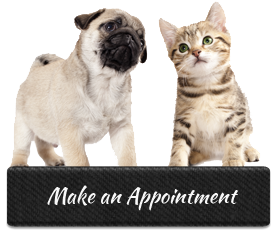 As our client we want you to know your sick pet is being well-cared for and you are encouraged to visit with your pet and ask questions. We want every owner to be fully informed about their pet’s treatment so that they make the best possible decisions regarding its care. Pets necessitating constant overnight monitoring may be referred to a specialty clinic or may be taken home with our doctors. We now have new state of the art Abaxis blood machines (Jan. 2015) that are capable of running in-house bloodwork quickly and as accurately as an outside laboratory. 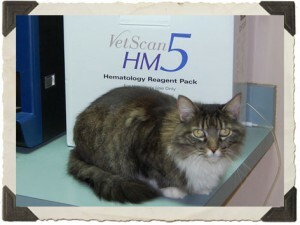 We recommend all pets have yearly bloodwork to check basic organ function as well as heartworm testing. Pets age more quickly than humans so yearly bloodwork in pets would equate to a human having bloodwork about once every five years. All surgical patients receive pre-operative bloodwork to assure safety of the procedure. We can quickly have results on emergency cases as well. We still utilize an outside laboratory for some testing. Current bloodwork is important in diagnosing many illnesses as it allows us to compare a sick animal’s values with previous normal values to more quickly asses the problem for a particular pet. Also, many geriatric diseases in pets show changes in bloodwork prior to an owner’s noticing clinical symptoms. 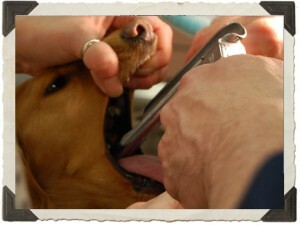 In these cases treatment can be started sooner and the quality and longevity of the pet’s life can be greatly improved. We feel preventative medicine is extremely important for the well-being of your pet. Of course, like most veterinary facilities we perform routine vaccinations based on AVMA protocols, however, we feel there are some other very important areas of preventative medicine. The yearly exam (bi-annual exam for geriatric patients) is important for detecting diseases such as heart disease, dental disease, skin/ear disease, nutritional disease, cognitive dysfunction(Alzheimer’s), arthritis, and many others prior to the obvious onset(obvious to owner) of clinical symptoms. Behavioral medicine is another type of preventative medicine in that we spend lots of time during initial puppy and kitten visits on how to best prevent behavioral problems. This can lead to a much happier existence for the entire family and can help prevent a surrendered adult pet with behavioral issues. Our veterinarians have spent many years studying obedience in pets as they have competed in AKC performance events since 2002. We hope that by providing quality preventative medicine we can improve the quality and longevity of most of our patients. We offer house calls for a $100 minimum. A deposit must be paid prior to the visit. Please keep in mind we are able to do much more when your pet is actually at our facility. 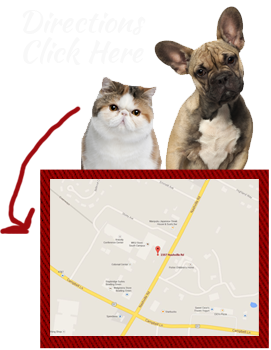 If the doctor feels your pet needs to be taken to our clinic for further diagnostics or treatment, travel arrangements can be made for a fee.